As the New Year begins, and 2016 takes its place in history books, there’s no better time to look forward with hope that 2017 might perhaps be a little bit better than its predecessor. It’s also a time to look back at a year that was often exasperating, wildly entertaining, nerve-wracking, inspiring and sad. But that’s how life should be—from the presidential election that ended with a surprise (for Hillary Clinton), to tragedies from terrorists (Orlando) and nature (floods and wildfires); to the success of the American Women’s Gymnastics Team bringing home the gold in the Olympics, 2016 has been a wild ride. Though the election of 2016 was the biggest story of the year, it will be the gift that keeps on giving to the 24-hour news cycle if these weeks since Donald Trump’s victory are any indication. Calls for the dumping of the Electoral College were resurrected from media, political and academic elites who seem to be clueless as to what it is and why the Founders of our nation were so genius as to come up with it in the first place. Meanwhile, a new term for the college students who have had their minds completely twisted by said elites has come into our American lexicon: snowflake. This doesn’t refer to all the white things that may now be collecting outside in your yard, but to privileged, white college students who are taught to feel guilty for being privileged white college students. These millennials and post-millennials have been the main people protesting the outcome of our presidential election. Their antics have ranged from the dangerous damage of property to the absurd need many have had to find their “safe space” where they can be free from perceived “micro-aggressions”. Right after the election, college campuses across the country provided their students with outlets to cope with post-election stress disorder. At Yale—one of our most elite schools—professors allowed students to skip their mid-term exams if they were too upset by the election results to take them. Then there was the University of Michigan that gave its snowflakes Play-Doh and coloring books to help them process the election results. At Cornell University—another supposedly Ivy League campus—stressed collegians could attend a “cry-in” where they found sympathetic staff members who would give them tissues and hot chocolate. We should all now stop for a collective shudder at the future of the country if these are the ones who will be in charge in 20 years or so. In nature, it’s said that no two snowflakes are alike, but the same can’t be said for their human namesakes. As much as these people like to believe they are so unique, open-minded and “progressive” (don’t get me started on that one), the truth is, they think alike, argue alike and are as hard to reason with as their guilt-ridden college professors. Snowflakes have really come into their own in 2016 and it should be interesting to see what else they will find in the coming year to be afraid of from day to day. They have been joined in their post-election malaise by the usual list of celebrities who promised us they would leave the country if Trump won—something that probably gave him at least a few thousand votes…but they also said they’d leave when George W. Bush got elected—and probably said the same when Reagan was president—but still they remain. America will continue to be stuck with Miley Cyrus, Cher, Rosie O’Donnell and other lame-brains into 2017 and beyond. And the snowflakes will keep being who they are until—hopefully—time teaches them lessons their professors never would: life isn’t always fair and you won’t win every time. So…Get. Over. It. While many school children around the country spent yesterday outside their classrooms enjoying the extended holiday weekend, at least one high school remained open for business. You would think maybe they decided to spend the day studying or watching select speeches and celebrating the great gains made by Martin Luther King, Jr, the slain Civil Rights Leader whose life is remembered at this time every year. that’s not often questioned. How do we figure out what race someone is? And what do we mean when we say someone is white, black or any other race? -“Why Do I Have to Feel Guilty for Being White?”: Talking about race doesn’t usually feel good for anyone. White people often walk away feeling guilty and thinking, “But I didn’t do anything!” In this workshop, we’ll explore how white guilt can become a roadblock in our journeys toward becoming white allies. -“Yer’ A White Wizard, Harry: Whitewashing in Cinema”: This is a discussion about white dominance in the film industry. We are going to be taking a look at different cases where the voices of People of Color were silenced by the industry and how we can change it. The day also included seminars on Islamophobia to discuss stereotypes of Muslims and the Middle East in pop culture and a look at Disney films and the racial stereotypes there. So much for focusing on Dr. King’s dream of a society where people could be judged not on the color of their skin, but on the content of their character. That seems to be more true each day in education across the nation, and not just in liberal enclaves of the Northeast and West. From the Fairfax County, Virginia schools that last year implemented lessons on homosexuality and gender identity for students as young as 4th grade, to the revisionist portrayals of Islam in Tennessee schools—parents have their hands full when it comes to helping their kids separate fact from fiction. The New Trier administrators stand by their choice to stay open and made yesterday’s seminars mandatory, with any absences treated as they normally would be any other day. According to the schools’ website, “The MLK Seminar Day on Race is part of New Trier High School’s ongoing work toward equity and global citizenship”. Glad they cleared that up…as long as it’s not political. It’s no wonder why some parents are reluctant to send their children away to college these days. College campuses are full of absolute chaos, as evidenced by the Yale Halloween costume controversy and the Missouri racial issues that resulted in the president of that school stepping down. College students seem mad all the time…angry at every perceived injustice. Students– aided by their left-wing professors and a 24/7 news cycle that feeds on the hash-tag-fight-of-the-day– are in a battle for everything. Just a day after we remembered the service of our nation’s veterans, students across the nation walked out of classes to have their #MillionStudentMarch. They demanded to have a free education (because it’s a human right, don’t you know? ), as well as a $15 minimum wage and student loan forgiveness. It was a collective large-scale temper tantrum with capitalism and traditional American ways being targeted for their “unfairness” and “injustice”. One of the organizers, Keely Mullen, a student at Northeastern University, was interviewed on Fox by Neil Cavuto and it’s both painful and satisfying to watch. Mullen suggested that all these demands could be met if the “one percent” would just pay more taxes. When Cavuto calmly questioned her as to whether she or any of her peers would want 90 or 100 percent of their income confiscated through taxes once they become established, she hemmed and hawed and seemed pretty flabbergasted. Mullen is a Marxist and is no stranger to far-left causes, so you would think she’d be better able to explain why she feels like things are so unfair for her and her fellow students. Lost in the coverage of the Million Student March is that she herself is part of the one percent whom she claims is “hoarding all the wealth” which causes so much distress for college students. Her LinkedIn profile picture shows her up on a stage with a bullhorn and she describes herself as a “student pursuing opportunities in community organizing and anti-racism advocacy work”. She’s majoring in political science and Sociology, so she’s probably had more than enough opportunities to have the idea of “white guilt” drummed into her, along with all the usual anti-capitalist, anti-American garbage. Northeastern charges around $45,000 a year for tuition, so Mullen can look forward to a pretty hefty debt load once she’s finally finished with her four years of studying community organizing and interning with the ACLU. She complained to Cavuto about how high tuition was and that it’s just not fair that students here in the US have to actually pay for a college education when other countries give it to their citizens for free. Well, Keely- other nations also tax their citizens into lifestyles that you and your friends would find very hard to live in. You may also want to stop and think for a minute: Why do so many of them forego their free educations in their home countries to come to American universities? I’d just like to know who twisted her arm and forced her to go to an expensive school, and major in two areas that almost guarantee unemployment after graduating? It’s not like she didn’t know going in what the cost would be—and why should her debt be forgiven? 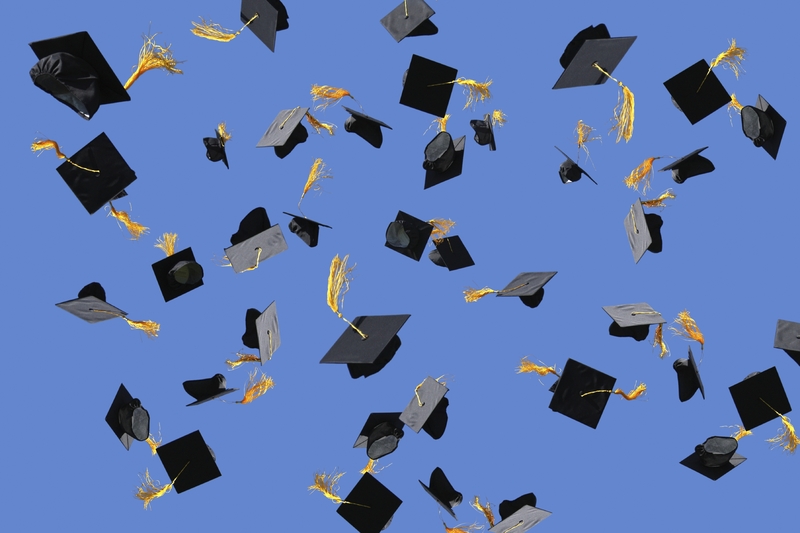 Many of us have had to struggle to pay off student loans years after our diplomas expired. She may want to think about the reasons why college is so expensive—high salaries paid to professors who can never be fired due to tenure; or the fact that the government is now in charge of student loans, so the higher the tuition, the more money that needs to be borrowed, and therefore more money rolling into the hands of the government. I’m sure she never gives a thought to those things when she’s out with her bullhorn making demands of her fellow Americans. He didn’t even need a bullhorn. The young and the restless- entitled students demand free education and debt forgiveness during the Million Student March. There’s a comical TV and radio commercial that recently started playing for a bank that’s meant to appeal to the current crop of new college graduates now entering the “real world’. It has a commencement speaker giving the new grads his words of encouragement for their futures. But even as he tells them what bright futures they have, he slams them with the cold hard truth. He tells them they face a future “where student debt crushes your dreams and you’re forced to clean your neighbors’ gutters for gas money…where you move back home and share a bathroom with your younger sister…and the only lasting impression you make is on the cushions of your couch.” Unfortunately, that’s too often true, but that speaker sounds like a graduate of the Barack and Michelle Obama School of Commencement Speaking. Traditionally, graduation speeches are meant to uplift, encourage and challenge the young people as they begin a new chapter of their lives. It’s supposed to be about them, and the parents and families that helped them make it to their big day. But never underestimate the ability of an Obama to turn a commencement speech into a political rally, saying more about themselves and their pet projects than about the graduates. Last week, Michelle ranted about race and how unfair her life has been in America when she spoke to graduates at Tuskegee University: “The road ahead is not going to be easy,” said Michelle, “It never is, especially for folks like you and me.” Apparently forgetting she’s married to the most powerful man in the world, she went on to “inspire” the Class of 2015 by listing off all the “slights” she’s had to deal with in her life: “…the clerks who kept a close eye on us in all those department stores. The people at formal events who assumed we were the help.” Michelle wants to party like it’s 1964. Not to be out-done by the missus, BHO spoke to the graduates of the U.S. Coast Guard Academy about an “immediate national security threat.” Did he enlighten them about the horror stories of ISIS beheadings and how that group now has a training camp just 8 miles south of the Texas border? Did he talk about China or Iran and the Middle East? No…in the world according to Obama, the biggest threat that will come to us is from climate change. He goes through the all the old, tired reasons climate alarmists give such as the breaking up of Antarctic sea ice and last year being the warmest ever…blah, blah, blah. Another wasted opportunity. Now those are words you can build a life upon. Unfortunately, the Obamas have squandered every opportunity they’ve ever been given to really inspire and bring people of all backgrounds together. They could have told their stories from the point of view that less than 50 years ago, it wouldn’t have been possible for a half white/ half black man to be president, but look how far we’ve come. They could have encouraged the students by letting them know that when they put their minds to it, they can achieve great things in America. The only consolation is that few, if anyone, ever remembers what a commencement speaker says on Graduation Day…when the Obamas speak, that’s probably for the best. Once there was a time when speech codes and political correctness were mostly confined to college campuses and highly liberal enclaves on the left coast of America. Not anymore. The PC disease is spreading to ever younger populations in states that most would consider “Red States” with traditional, tried-and-true values. Take for instance, Lincoln, Nebraska. Middle school teachers there were given a new training document, provided by an organization called Gender Spectrum that encourages teachers to rid themselves and their classrooms of the use of any and all words that refer to two genders. They are not to call boys, “boys” or girls, “girls”, or even the collective term “you guys”. No, this document recommends they refer to the young people as “purple penguins” or some other gender-neutral expressions. How is calling a female child a girl or a male child a boy being judgmental? In the minds of progressives, it’s not fair to force people into these kinds of roles. Throwing science and reason to the wind, as they so often accuse conservatives—especially Christians—of doing, these people are attempting to create some sort of genderless society. They want to include what they believe are the many types of people who don’t identify with the two genders most of us have known about since childhood—that gender goes beyond biology. What you’re born with might not be who you are, and there a lot of other options now. If you don’t believe this, check out the “About Us” page on the Gender Spectrum website. Just briefly reading through the people of Gender Spectrum, I learned I don’t have to be just a female anymore. I can be a “cisgender”, meaning I’m identifying as the gender of my birth. According to the mission statement of this organization, their goal is to provide “training and support to help create a gender sensitive and inclusive environment for all children and teens.” Should you read around their website, and you’ve always known yourself to be either male or female and you’ve been OK with it, what you’ll find is enough to make your head explode. This whole notion of multiple genders is taking a very simple concept and turning it into a mountain of confusion and twisted thinking. The training document includes 12 “easy” steps to gender inclusiveness. One step tells teachers to reinforce the gender inclusive message by plastering signs around their classrooms such as images that show people who don’t fit traditional gender roles or having door hangers that say, “All Genders Welcome”. Step #6 is particularly troubling as it calls for teachers to correct their students if they hear them referencing gender in a “binary manner” (i.e. the way nature intended). Don’t children have enough to think about in school these days with the Common Core dictating what they learn and how they learn it? Now they also have to monitor their speech to make sure they don’t call each other by what their own common sense tells them they are. In this kind of environment, every little girl who used to be called a “tomboy” or any little boy who expresses an interest in cooking is ripe for being set on a path of confusion. In the hands of adults who think this way, they grow up believing that there really is nothing that is absolute. If something as basic as gender is always in question and you can change it as you feel led, won’t children wonder what else in life can be relied upon? It would be nice if what happens in Lincoln stays in Lincoln. 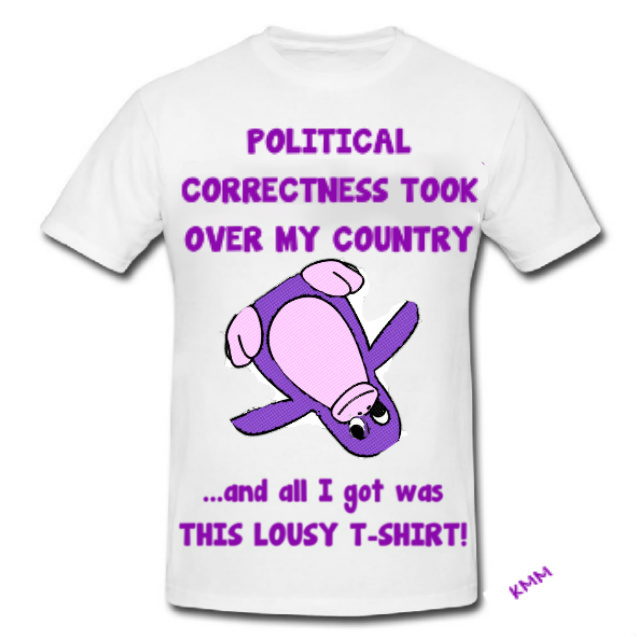 Unfortunately, political correctness is everywhere, rearing its ridiculous, ugly head. It’s the disease that’s sweeping America and common sense is the only cure…and that’s in short supply at the moment. It’s back-to-school time in many parts of the country, and that can only mean one thing: more evidence rearing its ugly head of yet another tool to dumb-down America’s students. This time, the students who are the best and brightest are being targeted for mediocrity- those who take AP (Advanced Placement) courses. Each semester, these hard-working high school students fill their schedules with AP courses in hopes they will be able to get a head start towards their college education by getting some credit before they ever set foot on a college campus. What will be different this year, beginning this month, is the framework for the AP U.S. History course, known as APUSH. Imagine sitting in a class on American history and not being exposed to Thomas Jefferson and Ben Franklin. Or getting merely a brief mention of George Washington via his Farewell Speech. Or learning about the Civil Rights movement without the names Martin Luther King, Jr. or Rosa Parks. Talk about twisted history! The AP programs are run by the College Board, an organization of unelected people with no accountability to “We the People”. Concerned Women for America has been following this closely and was among those involved in this week’s conference call. Their website has resources available for parents who may be hearing of this for the first time. Larry Kreiger has taught AP classes for more than 35 years and his specialty is U.S. History. He was a member of the panel during the conference call and didn’t have much to say that was positive about the new framework. He said the old one had a 5-page Topic Outline that provided a chronological sequence of key topics that were closely aligned with the standards of most states. Because the new APUSH framework doesn’t mesh with the standards most states have set, teachers will be forced to choose between teaching to yet another high-stakes test, or teaching their state’s standards alongside it, potentially jeopardizing their students’ scores on the new APUSH exam. Teachers always seem to be forced into teaching to some test or other, and not just in American history. How will students become good citizens without knowing important foundations of the nation, or having in-depth discussions of the Declaration of Independence or The Constitution? If all they’ll get is a hardy helping of how bad America is while they’re still in high school, they’ll definitely be prepared for more of the same once they get to college. What they won’t be are thinkers who’ve been presented with many different aspects of the rich American story—its heroes and villains; its successes and failures. That’s how you get Americans to hate America. If you haven’t yet seen Dinesh D’Souza’s movie America that I reviewed here last month, go see it. It’s very much related to what’s happening with these new U.S. History standards. The new APUSH is just another example of how the far-left is stripping young people of their heritage. ***Note: Although some private schools and even homeschooling parents are aligning their curriculum with Common Core, it’s not required- – yet—so its effect on them is still up in the air. 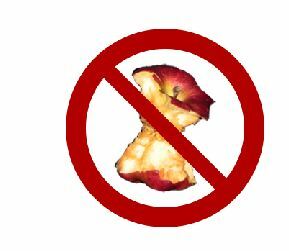 This wasn’t the post I expected to be writing about the Common Core State Standards today. But sometimes you hear something so alarming, it just can’t wait. Parents, please take note: if you aren’t looking at your children’s textbooks—especially their history books—you may want to start. That goes for their assignments as well. The Common Core-aligned assignment was 18 pages long and provided students with a list of “credible sources”. One of these sources claims Anne Frank faked her famous diary. Once a local paper exposed the assignment, the Anti-Defamation League and other Jewish groups made a fuss about it. The school district initially stood by the assignment, but as you can see from this press release issued Monday on their website, things have changed. They will also be having an “Emergency Board Meeting” this evening to discuss the issue. Maybe they can discuss how such a question got in there in the first place. It’s hard to defend an 18-page assignment as a “mistake”. You can debate many things about history, but to plant the seeds of doubt into young minds that such a major and horrific event as the Holocaust may not have really happened is just plain irresponsible. The proof is on film, in the artifacts left behind and in the lives of those still alive who managed to survive it. Six million Jewish people were murdered (as well as many Catholics, disabled people, homosexuals and others) at the hands of the Nazis in the years between 1939 and 1945. Revising history is nothing new, and the implementation of Common Core is only going to intensify these kinds of school assignments. Many schools across the nation have already abandoned teaching elementary school children how to read and write in cursive. This is not only a bad idea for them developmentally, but it’s taking from them the ability to read original documents as they were written. Not just The Constitution or Declaration of Independence, but the personal letters and journals that we’ve always used to help us to understand historical events. We learn history by reading the stories of people who came before us written in their own hands. 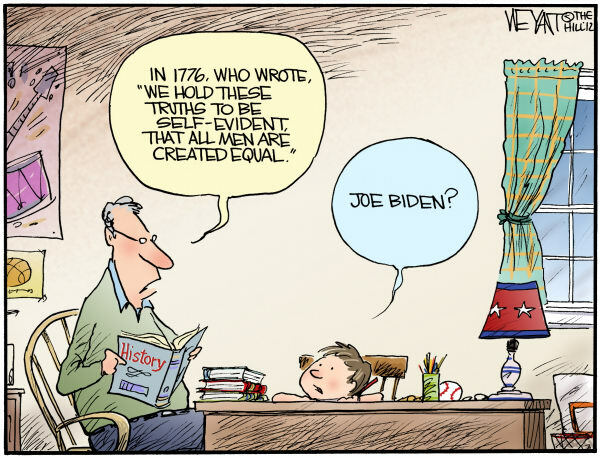 It’s long been par for the course for liberal/progressive school teachers and professors to bastardize the lives, beliefs and reputations of the Founders of this nation in order to separate as many people as possible from our history. To plant the seeds of doubt about America’s founding and its exceptional, unique role in the world. What is the country going to reap tomorrow if these are the seeds being sown in today’s classrooms? Most of us remember high school English classes as a place where we were first introduced to some of the greatest writers the world has ever known. Our teachers spent long hours taking us back in time through the pages of literature, introducing us to Romeo and Juliet, Antigone, Hamlet, Hester Prynne and also more modern day characters such as Holden Caulfield. We learned from their fatal flaws, experienced their losses and were inspired by their triumphs. Through their stories, though fictional, we came to understand human nature– that people are people, regardless of the time and situation. In many ways, we also gleaned a better understanding of history. Along with all of the frustrated students, parents and teachers that the Common Core State Standards (CCSS) have been racking up, perhaps other casualties of the standards are the works of Shakespeare, Nathaniel Hawthorne, Mark Twain and other classic writers. As if wading through the intricacies of a Greek tragedy wasn’t hard enough, Common Core expects English teachers to give up some of that in favor of non-fiction “informational texts”. Imagine a teacher trying to inspire a love of the written word in a room full of high school students with such materials as presidential executive orders or the latest policies being implemented by the Environmental Protection Agency. Wonderful. This will do nothing to inspire a love of reading or history in students of any age. Just what we need in a time when many students heading into college must take remedial English courses as freshmen in order to move into their college-level coursework. 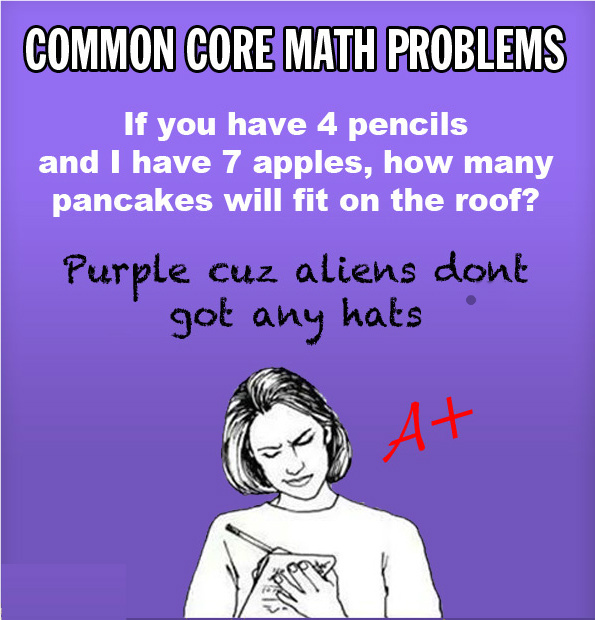 Add this fiasco that is Common Core into an educational environment where even college students can’t correctly answer 4th-grade level American history questions, as has been documented by many “man-on-the-street” interviews. Whenever the elites start throwing money at anything–in this case public education—you can be sure there’s something in it for them. When I wrote last week that the Common Core State Standards were like the pot of gold at the end of the rainbow for all good progressives, I based it on what I know from history. The early progressives–elitists from the political realm, the business world and academia—have been trying to re-work public education to suit their own needs for more than 100 years…always under the guise of doing what they do “for the children”. Common Core has been criticized, not for what it’s doing for children, but for what it’s doing to them…and to parents and teachers. I previously posted the photographer’s picture of her tearful daughter as she worked on her 2nd grade Common Core math homework. I’m certainly no expert on it, but from all I’ve read and listened to, doing math the Common Core way, especially for the youngest students is sort of like taking a road trip from New York to Miami by way of Los Angeles. Eventually, you’ll get where you want to be- with any luck- but not without a lot of wasted time and energy. It appears to be an inefficient way to teach the basics of math with a lot of unnecessary stress added in. Rather than try to explain this wacky math in writing, it’s easier to watch this video by Caleb Bonham. It puts it all in perspective. “Children will inevitably grow apart from their parents in belief, and this process must be encouraged by diluting parental influence and disabusing children of the idea their parents are sovereign in mind or morality. That prescription alone has been enough to cripple the American family.” Gatto wrote those words more than a decade ago—long before Common Core itself existed, but he could clearly see the trend where education was heading even back then. The Face of Education Reform? The photo below went viral last month on the internet. The picture shows a pretty common scene: a little girl, wearing princess pajamas sits at the table with a paper and pencil, most likely trying to finish up her homework before bedtime. But the look on her face is one of frustration, sadness and absolute stress as she tearfully tries to get it done. Her mom, a professional photographer, snapped the picture while preparing her camera for a photo shoot the next day. 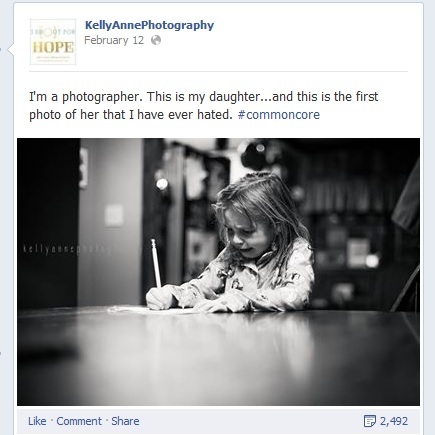 She posted it with commentary that says it all: The little girl is 7-year-old second grader Maddie and her mother, Kelly Maher Poynter, was both praised and criticized for posting the picture, by people on both sides of what’s known as the Common Core State Standards (CCSS). Critics of the posting say all kids hate doing homework and they might as well learn early that they have to do things they don’t want to do. Some even claimed the photo was staged in order to make a point about the controversial CCSS that have been implemented in public schools in nearly all of the states in the nation. Kelly, a mother of three, defended the photo and the situation by letting critics on her Facebook page know that Maddie is not a child who hates homework. Supporters of the posting rallied around Kelly and her decision to put it out there for all to see because many of them were parents dealing with the same difficulties CCSS is bringing to their own homes. There are many, many blogs and websites out there dedicated only to CCSS written by supporters of the standards and opponents alike. I’ve been learning about Common Core for about a year and was going to leave this topic to those blogs. After seeing that picture, however, I thought it deserved at least some mention here. After all, you have to wonder whether something is good when it causes this much stress in a 2nd grader. I don’t think math homework brought me to tears until high school geometry. What I’ve learned about CCSS isn’t good, nor is it anything new if you know about history and progressivism. Just recall the words of Maddie’s mother Kelly, above: “I don’t understand it myself and was not much help”. Those are scary words. There was a time when kids and parents could work together on homework. Kids were encouraged to ask parents for help, and most parents were eager to give it. With these “reforms”, children will be less inclined to ask mom or dad for help because after a while, they know their parents just won’t know how to help them. They’ll be forced to go back to the teacher—the government—for help. Progressives the world over have been trying to separate children from their parents for ages. You could say that if there is any virtue in progressivism, it’s patience. Why else would they be so against today’s home schooling movement? In the next few postings, I want to show how these reforms could threaten freedom as they seek to make children into good “global citizens” rather than patriotic Americans. The late 19th and early 20th century elitists would look at today’s Common Core standards as the pot at the end of their rainbow.